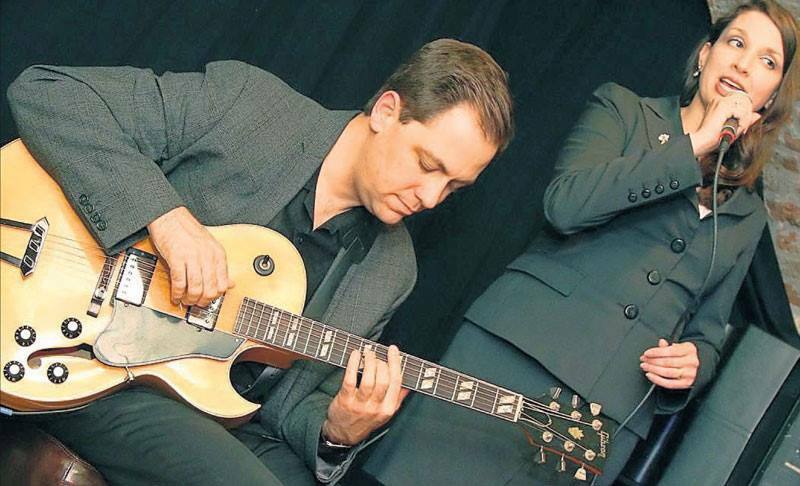 Husband-and-wife duo Petra van Nuis and Andy Brown return to the Kerrytown stage alongside some of Michigan’s best for an evening of classic swing. Petra van Nuis is a jazz vocalist who has been described in Downbeat Magazine as having “a light, gorgeous, and fairly delicate voice…a gift for melody and plenty of rhythmic confidence.” A former dancer and Cincinnati native, Petra came to Chicago in 2004 via New York City with her husband, jazz guitarist Andy Brown. Petra performs regularly at Chicago’s prominent venues and the Jazz Institute of Chicago has featured Petra’s Recession Seven band at the Chicago Jazz Festival. Petra has been profiled in the Chicago Tribune and on WBEZ (Chicago's NPR station). Outside of Chicago, Petra plays at jazz festivals such as the Cleveland Classic Jazz Party, the Roswell Jazz Festival, and Joe Boughton’s Chautauqua Jazz Party. Internationally, Petra has toured in Germany, the Netherlands, Belgium, and Canada. Petra has recorded four CDs, two of which have been re-released in Japan on the Japanese label Muzak. Petra's latest Muzak release was chosen as in flight music for All Nippon Airways (Japan's largest airline). Celebrate KindleFest at the Museum! Visit Santa Saturdays & Sundays in December!